It won’t be the first, or even second time the series has been rebooted. There have been two prior revivals of the classic series. The first aired for 110 episodes on CBS in 1985, and a second version, with Forest Whitaker in Rod Serling’s famous role, ran for 43 episodes on UPN in the early 2000s. 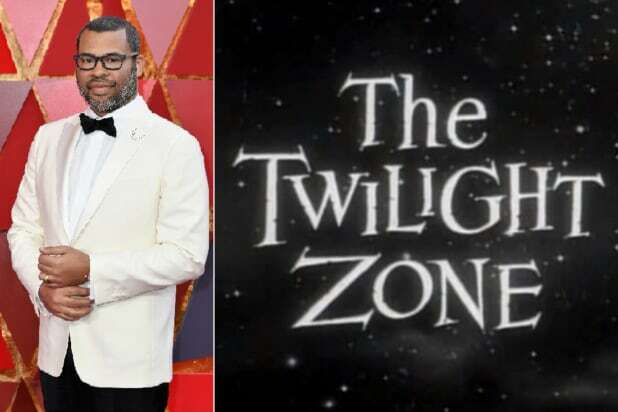 “I personally have heard probably 10 different pitches on rebooting ‘Twilight Zone’ over the years,” continues McNamara, adding that none of them “hit the mark” as a reason to bring the show back. That is, until Peele walked through that door. Peele will not only executive produce the series, he’ll host and narrate it as well. Principal photography began on Oct. 1 and McNamara said they’re about to start production on the third episode. Sanaa Lathan and Adam Scott have been announced as the show’s first two cast members, each starring in separate installments. The title for Scott’s episode — “Nightmare at 30,000 Feet” — appears to be a reimagining of one of the most popular episodes of the original series’ run. That episode, “Nightmare at 20,000 Feet,” starred William Shatner as Bob Wilson, the only passenger on an airline flight to notice a hideous creature lurking outside the plane. Richard Donner (“Superman,” 1978) was the episode’s director, which was based on a short story of the same name by “I Am Legend” author Richard Matheson. It aired on Oct. 11, 1963. Serling created the original series, which ran for 80 episodes from 1959 to 1964, and used socially conscious storytelling to explore the human condition and culture of the times. The new series, which will debut sometime next year, is produced by CBS Television Studios in association with Peele’s Monkeypaw Productions and Simon Kinberg’s Genre Films. Peele and Kinberg serve as executive producers along with Win Rosenfeld, Audrey Chon, Carol Serling, Rick Berg and Greg Yaitanes.